A side view of the Brazza. This vessel was built as the merchant ship Camranh in 1923 for Compagnie Maritime des Chargeurs Réunis, Paris, its home port was Le Havre. This shipping company primarily operated Trans-Atlantic routes to North & South America and African west coast ports. Round-the world service and Far East service were shortlived, the routes were not operating during the lifetime of this ship. The Camranh was initially built as a cargo ship, and would become the first ship owned by this company to be equipped with diesel engines. During its first two years of service commencing January 1925 it travelled more than 84,000 miles with the engines providing trouble free service. Because of its success the owners choose to convert the cargo ship for passenger service, the work being carried out during 1927 at the Penhoet yards. Cabins were added to accomodate 178 1st class, 90 2nd Class & 90 3rd Class passengers. The original engines remained unchanged during this conversion. Cargo carrying capacity remained at 12,000 tons. After the changes the ship was renamed the 'Brazza' and transferred to the East African services. Advertising material from 1928 depicts the Brazza on cruise ship duty departing Marseille on August 20, 1928 and visiting Spain, Morroco, Portugal and Algeria at a cost per person of 1,750 francs. 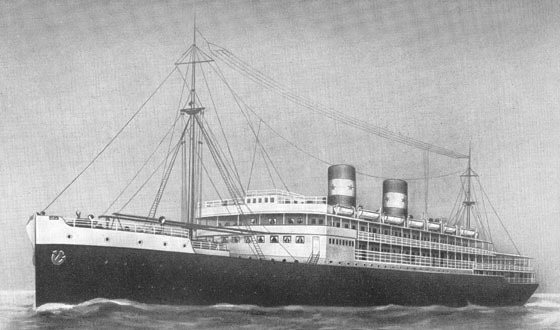 During 1936 the Brazza was lengthened. On May 28th 1940 the Brazza under the command of Master François Pierre Marie Rébillard was attacked by U-37 under the command of Victor Oehrn at position 42.43N, 11.00W. The U-37 had sailed from Wilhelmshaven on May 15th for operations around Portugal & Spain. The Brazza had left Bordeaux on May 24th as part of an unescorted convoy for Casablanca - West African ports - New Caledonia with a general cargo including wines and spirits. At 09.24 hours on 28th it was hit by two torpedoes from U-37 some one hundred miles west of Oporto, Portugal. The ship sank quickly, in under five minutes. Casualties were heavy, the master, 78 crew and 300 passengers were lost. 53 crew members and 144 passengers were picked up by the Enseigne Henry and HMS Cheshire (F18). The U-37 would return to Wilhelmshaven on June 9th, having sunk nine ships and damaged two, the Brazza being the largest ship sunk on this patrol. 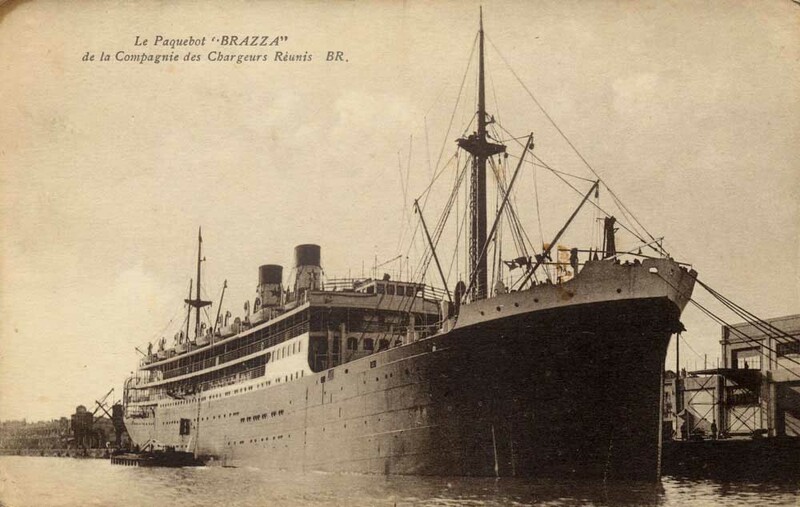 From an undated period postcard, a view of the paquebot Brazza. Auxiliary engines: 3 x 4SS34 and one 30hp (total auxiliary HP = 1,200). 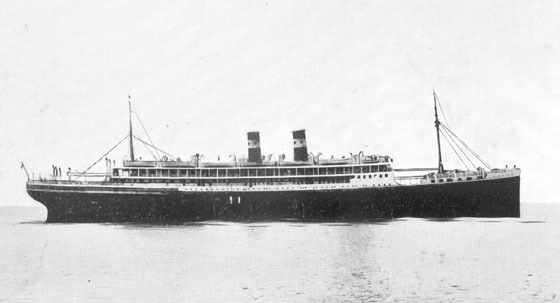 A stylised view of the Brazza.